A FULL inquiry into the death of former republican prisoner John Brady in Derry’s Strand Road PSNI barracks on Saturday afternoon, 3 October, has been called for by Sinn Féin West Tyrone MP Pat Doherty. Brady, from Strabane, County Tyrone, was found dead in a lawyer consultation room. Now questions are being asked about the circumstances surrounding his death during daylight hours. It has also emerged that Brady’s solicitor, Kevin Winters, is to ask Police Ombudsman Al Hutchinson to investigate whether Brady was approached to become a Special Branch informer before his death. “We have asked the chief constable to clarify whether Mr Brady was visited in his cell at any time during his incarceration by anyone other than routine custody officers,” said Winters. 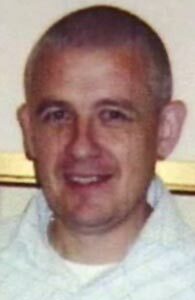 John Brady was sentenced to life in 1991 for the killing of RUC member David Black but was released under the terms of the Good Friday Agreement in 1998. After his release, Brady was alleged to have become involved with so-called republican micro groups. In 2003, he was arrested after weapons were found in a car in which he was travelling. Although he was not convicted of possessing the guns, his licence was revoked and he was reimprisoned in Maghaberry Jail. Whilst in custody he was further charged with trying to kill a British soldier. These charges were also dropped. According to Brady’s sister, Lorna, the Strabane man was on weekend pre-release parole when he was arrested on Friday 2 October in connection with an alleged assault. She has called for an inquiry into her brother’s death, saying there are “serious concerns” about how he died. “This is a tragic loss for the family. I want to extend my deepest sympathies to them. “There are obviously serious issues of concern about how John Brady died during daylight hours while in police custody.